What in your work gives you the most satisfaction? When I have the opportunity to work on innovative, pioneering projects that set the trends, that are ahead of the market, creating new destinations that change the city. This is what it’s been like for almost 25 years at Liebrecht & Wood. It’s worth recalling that we were one of the first to discover the potential for offices on the western section of Al. Jerozolimskie and that we successfully introduced the outlet concept through bringing the Fashion House Outlet Centre brand to Poland. Koneser is our pride and joy now – it’s a fascinating and unique project. A cleverly designed mixed-use project that is city-forming. Koneser has transformed Praga and it has changed the face of Warsaw. 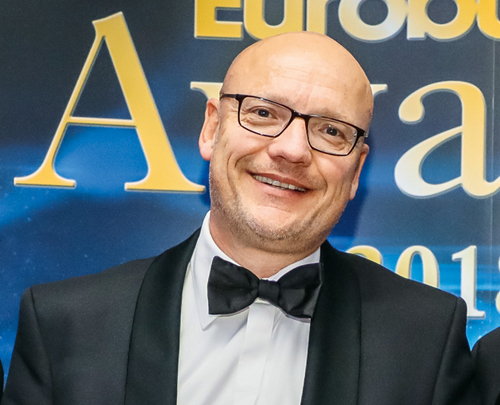 What does your success at the Eurobuild Awards mean to you? 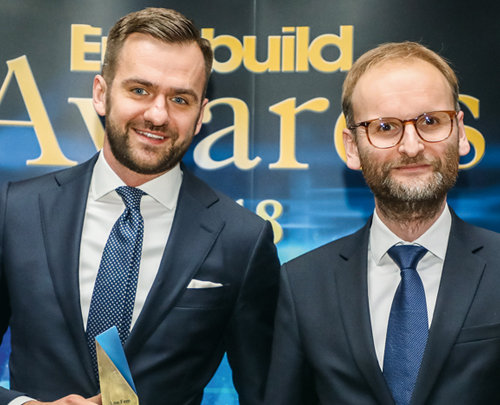 Winning at the Eurobuild Awards 2018 is a great honour for Liebrecht & Wood. As the developer of the commercial section of Koneser, we regard this award as a confirmation of the effectiveness of our operations and as an appreciation of the quality of our work. But this honour is actually one for Warsaw’s Praga district. 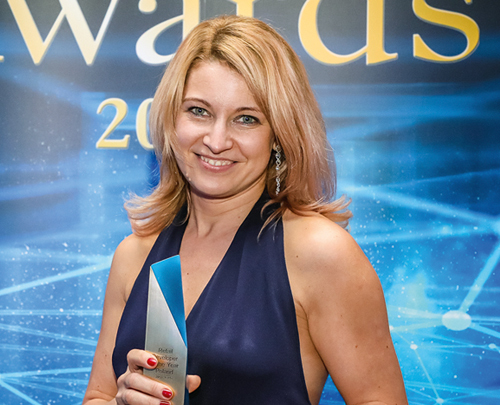 Our offices in Praga have been recognised by the market and have received two awards in the last month. These are the first prizes for Praga projects in such prestigious real estate sector competitions. It is testament to the profound changes taking place in this part of the city. The district has been given a new meaning and is becoming increasingly popular, not only among local residents and tourists, but also in the business world. 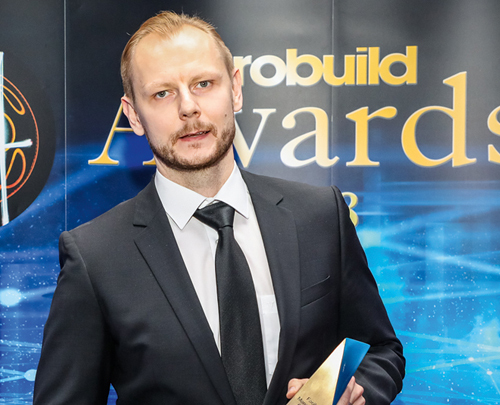 What are you going to do this year so that you can win again at the Eurobuild Awards 2019? We are passionate about innovating in new ways! Next year all of Koneser’s different uses (and there are at least ten of them) will be operational. This unique project transcends existing definitions and categories and we will be happy to continue revealing new aspects of it. As well as Koneser, we are also preparing new projects. This year our company will celebrate its silver jubilee. Our bold undertakings, hands-on approach, continuous care for quality and exceptional team work are all having the desired results, which is why we intend to continue also in the same way in our jubilee year. We are confident of the future success of the Liebrecht & Wood Group. The satisfaction of our customers, the smile on their faces and the high opinions we hear from them are the greatest source of satisfaction for me. This involves seeing the centre bustling with life and everything else that confirms how popular Wroclavia is and that it’s nice to spend time there. This is what makes my work meaningful. The work of my team also motivates me as I can always count on them, so I would like to thank them here for more than a year of their hard work. 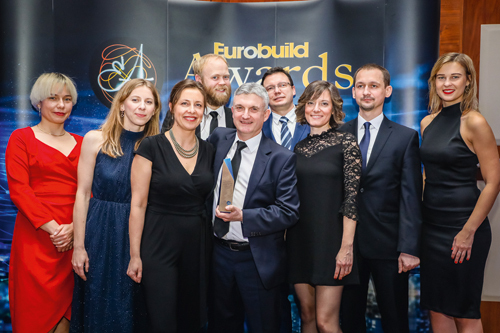 This is a wonderful culmination of our work, even more so because the week when the Eurobuild Gala took place was also when Wroclavia was judged to be the best architecture in the world of any retail building. I’m proud that the experts’ were so positive about our centre, although, as I’ve mentioned, what pleases me most are the opinions of customers and the popularity of Wroclavia among local residents – our centre had a footfall of 14 mln in the first year of its operations. A lot of hard work lies ahead for us in the next few months. We will be trying to maintain the satisfaction levels of our customers, an attractive tenant mix, the four-star quality of our services, as well as the extraordinary range of special events. We will be staying close to the local residents, using the suggestions provided to us by our customers as well as the entire international experience of Unibail-Rodamco-Westfield to maintain a top-quality shopping experience. For me and the entire HESA and Raffles family, the greatest honour is to see the joy in the eyes of our guests during their visits to the Europejski. The intention behind the restoration of the Europejski was to return the building to Warsaw and its inhabitants, which is why I’m so delighted to see them coming to visit us, breathing life back into the building. 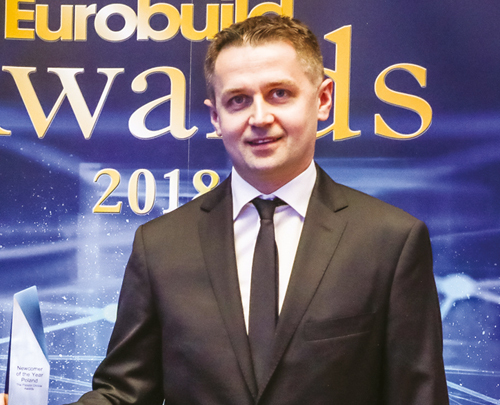 The Eurobuild Award is a very important distinction for us, because it confirms that we have succeeded in maintaining the Hotel Europejski’s finest traditions by offering our guests an exceptional level of service. The fact that the jury has recognised all our efforts proves that the direction we took together was the right one. We have many surprises in store for you in 2019 – we will be opening our first boutiques in the Europejski, which from what I have gathered are highly anticipated. I can’t reveal any of the brands just yet, but I think that you will be pleasantly surprised – and they will generate some excitement for the entire city of Warsaw, in much the same way that the Raffles Europejski Warsaw hotel has. I’m very happy when after closing a transaction the client returns to us with another inquiry. It means that we have done our job well, we have earned their confidence and we have provided them with the best support. I’m also pleased to see the professional development of my team members and the passion with which they do their work. It is a unique and important distinction for us and the crowning achievement of a busy year. 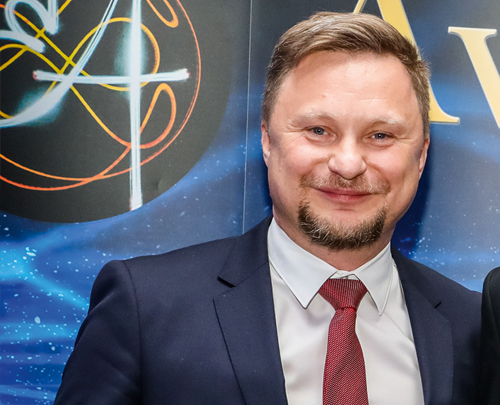 But it also highlights the great value of the team because the success is down to the work of all the people in our department across Poland. We are one big harmonious entity. We will continue with what we have been doing so far: supporting our clients’ businesses with commitment and passion. This award, of course, encourages us to work even harder – but it is not a goal in itself. The satisfaction of the client is what counts most for us. It would be really difficult to put my finger on any moment when my work is not pleasant for me. I have a really great team – they are talented, interesting and open professionals and, above all, great colleagues. On the other side, there are clients who working for brings us great satisfaction. It all provides a positive drive. 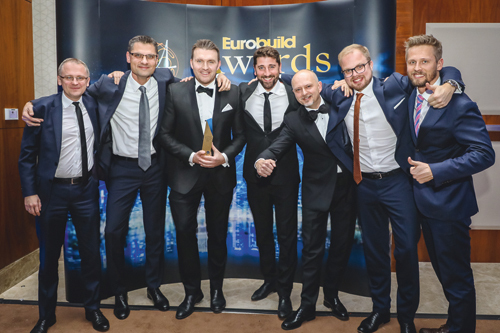 We treat the annual Eurobuild Awards as a symbolic crowning of the entire year. 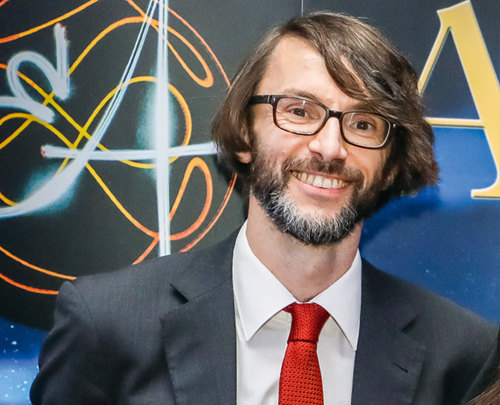 On a daily basis we have to work at an intense pace, not really being able to find the time to celebrate our success or reflect on how much we have managed to achieve over the last twelve months. That is why we are all so happy to be presented with a Eurobuild Award by representatives of the sector. We treat it as the highest confirmation that the results of our work are recognised. In our everyday work we focus primarily on doing our best, launching new services and keeping an eye on the market and the latest trends. It will also be like this in 2019. We hope that these activities will once again be appreciated at the next Eurobuild Awards. The most satisfying thing is certainly the satisfaction of the people I work with. 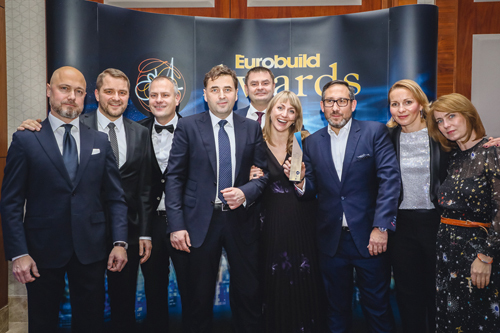 JLL’s success at the latest Eurobuild Gala was down to the work of the warehouse and industrial team and they are the reason why we are one step ahead of the competition. I’m extremely pleased that over the last few years we have managed to build such a close-knit team of people who like and want to work with each other. In our everyday work we are not focused on honours, but rather on how best to respond to the needs of our clients. So it’s particularly nice to receive the most prestigious accolade in the sector after a very intense year. The winners are selected by top real estate representatives who have been active on the market for many years and know it well. The fact that they have decided to recognise our efforts is not just a reason to be proud of ourselves but also gives us even more motivation to repeat this success in 2019. We will continue to focus on developing our services, for example by investing in technological tools, so that we can provide our clients with even greater added value. We are constantly looking for innovation and improvement, and this will be one of our most important priorities for the coming year. Investment after investment, project after project – it is when there is always something that we have to deal with, that we derive the greatest satisfaction from our work. And in 2018 a great deal happened on the investment market. The number of players that want to invest in real estate is growing year by year; real estate prices are increasing, while the global supply of available product is decreasing. Poland has been benefiting from these global investment trends, and is observed by the greater number of investors. There are indications that this year the total value of investment transactions in Poland will exceed EUR 6 bln and thus we will break the record reached in 2017. I am therefore particularly happy since the CBRE investment team made a major contribution to this result, and as a result we had the opportunity to participate in the exceptional sales of many prestigious properties. 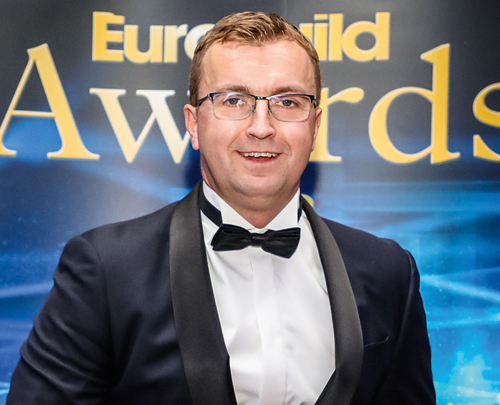 For us the Eurobuild Award for Investment Agency of The Year is a confirmation that the model we have adopted is right and we will be taking the same approach to our projects in 2019. My job is my passion, so I approach every project and task with total commitment. I like to have clearly defined goals that I realise in stages. I’m very pleased to work on new projects when I can contribute my experience and vision to them. It represents recognition of our recent achievements on the market, but also gives us great motivation for the future. 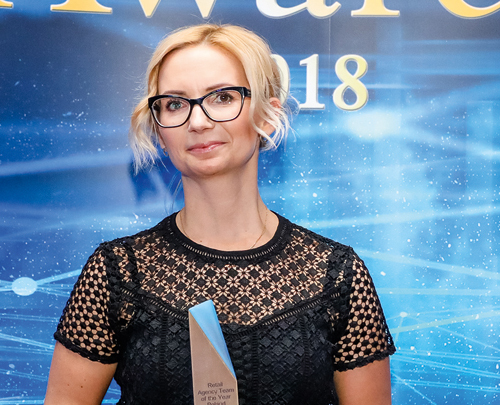 The award granted by a jury consisting of sector experts is the latest confirmation that our company is developing in the right direction and that the projects we carry out are bringing a new quality to the Polish retail market. The prize is also an obligation – our company regards it as an inspiration for further action, development and successful work. We want to be perceived as a modern and dynamic developer that builds interesting projects. Gemini Holding is a company that has clearly defined business goals that are gradually being introduced. It is worth adding that we have an interesting year ahead of us. This includes the expansion of Gemini Park Tychy by an additional 6,000 sqm, including a cinema. Many new features are also being prepared for our centre in Bielsko-Biała. And we are working intensively on the extension and redevelopment of the mall in Tarnów. Work makes the most sense when it brings good results and that is what I enjoy the most. I set myself a great number of challenges and I am constantly raising my standards. I really enjoy visiting our tenants while they work in the buildings we have built for them. You can see the real sense of the work of all the teams involved in the development. I’m happy when people adopt the systems we propose I get a lot of satisfaction from our relationships with our partners Our team has earned their trust and we will not disappoint them in the future. 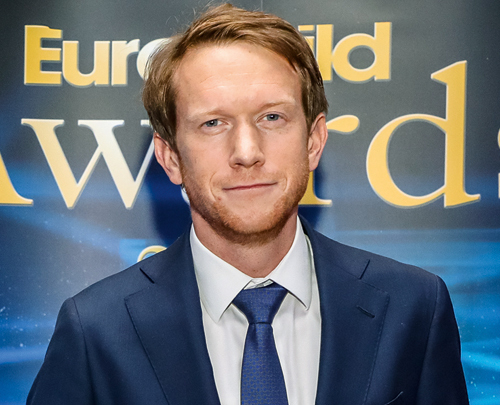 Thank you for the Eurobuild Award! I would like to accept the award on behalf of the entire team. The title of office developer of the year is down to the work of a great number of people. It also confirms that our daily work is appreciated by our clients and competitors and the people in the sector. 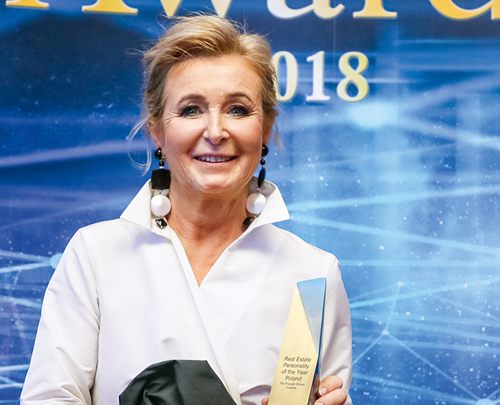 The award also proves that the regional markets, which we are very active on, are important for the development of the Polish office market. The award confirms that we are doing a good job. This year promises to be as equally intense as the last one. The construction of Browary Warszawskie and Moje Miejsce in Warsaw as well as Face2Face in Katowice will continue in 2019, together with the launch of new projects in Łódź and Wrocław. We certainly have a very interesting year with lots of hard work ahead of us. All these hundreds of thousands of square metres of space will need to be leased. So we will have many conversations with potential tenants and hours of meetings, which – hopefully – will result in the signing of lease agreements favourable to everyone. We know the needs of our clients and want to continue to provide them with the best systems. What we have been doing every day for more than twenty years, with great commitment, we have been doing for them. And if the market again decides that we are the best at doing this, then we will enjoy the next Eurobuild Awards! When I’m able to see how people use the buildings designed by our team and see how we have managed to positively change the space in which they function. It is a summation of our efforts in the eyes of the best real estate professionals in this part of Europe. The usual – we can’t do anything else. But seriously, our 2019 plans involve completing the integration of our design processes with the BIM environment as well as a number of projects that are very important to us, including a research station on King George Island in the South Shetlands. The most important part of my job for me is always the people who I work with, deal with and provide legal services to. The transactions and projects can be interesting and complex. Without these people, the transactions would be much the same; but owing to their different personalities and their goals, ambitions, characters and sense of humour, each transaction becomes unique. It’s a great honour to receive this recognition from our clients, friends, colleagues and the real estate industry as a whole; but now the ceremony is over and I have plenty of plans, goals and tasks ahead of me. Exactly the same I have been doing for the last twenty-something years – and we will keep on doing it with passion and a fascination with our work. The same as in life in general: when people I have contact with are happy with what I do. In the consulting business this is expressed by seemingly trivial things: another inquiry or transaction or a recommendation – but in practice these are expressions of appreciation and trust, which should not be underestimated and that give you a lot of satisfaction. As advisors we are lucky because our work is constantly being evaluated – when clients come back with new deals, recommend us to others or simply ‘stay’ with us. 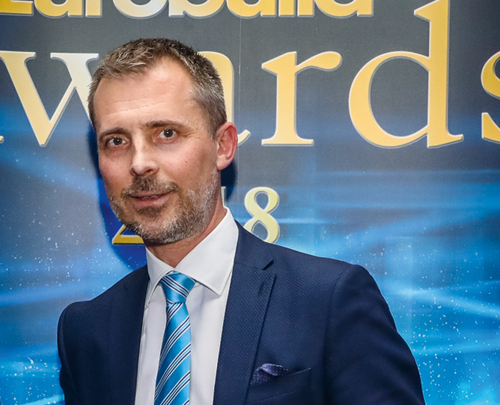 The Crido team is in the fortunate situation that this evaluation has been positive for many, many years, but it is also very nice to receive an award indicating wider recognition in the sector – which is why we are extremely pleased with our Eurobuild award. As usual: we will respect people: our clients and our team, and make the most of the vast knowledge and experience we have accumulated at Crido over the years. As well as... well, entering the competition next year. Each day I am happiest when I see that my team is developing and realising its potential. This especially applies to the young people who join us with little previous experience. I often watch them getting better and better at what they do and more confident in dealing with clients over the years. At Arcadis we have people with different levels of experience – from graduates to experts who have been on the market for more than thirty years. This mix of in-depth knowledge of the sector with youthful energy gives us a better and broader view of the challenges that our clients have to face. We often hear praise from clients as well as from our colleagues in Europe and around the world. 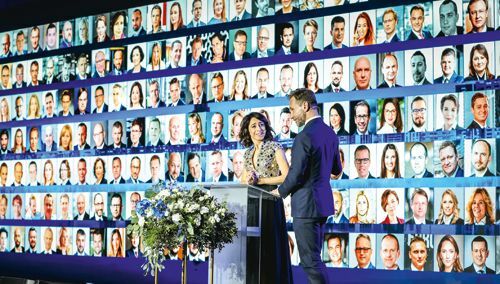 However, a prize awarded by sector representatives including our clients, who have chosen Arcadis from among the 14 companies nominated, is confirmation that we have a great team. Especially since this is our second victory in a row. We will keep on putting our clients first. Understanding their needs and expectations as well as we can is of key importance for us to help them with their projects. This year’s award shows that this is the right approach, so we will do our best to better please our clients and partners through our work next year. I personally find the most pleasure in working along with my team and the client to find the best structure for their needs and then finally closing the deal with the agreed conditions on time. 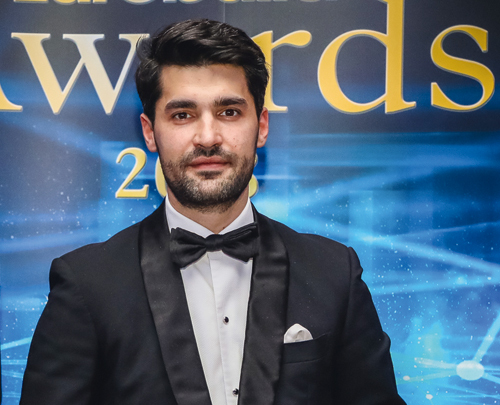 Since the award are decided by a jury of international real estate experts, winning it means a great deal to the Helaba team. 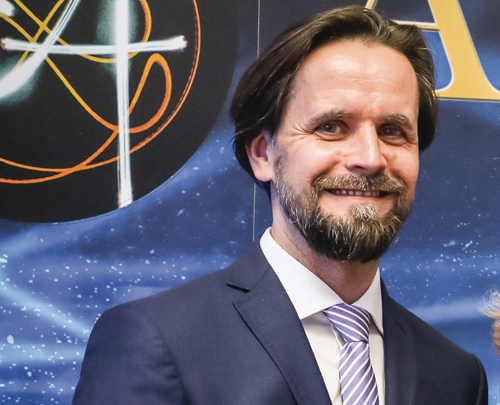 We see it is clear recognition of our excellent and reliable work over the last twelve months – not only in Poland but in other CEE countries as well. We will do exactly the same as we have in previous years: Work hard for our clients to be an appreciated, reliable and trustworthy partner for their financing needs and close many solid transactions with them. 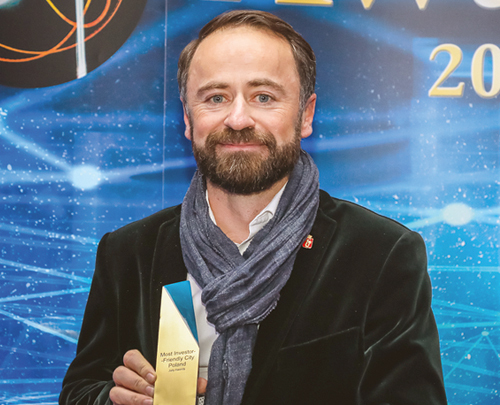 If at the end the outcome of such efforts is the Eurobuild Award 2019 for the best financial provider, then so much the better. Working for Skanska is always a source of satisfaction for me because we are successful in carrying out new projects that generate benefits for the wider community. This gives meaning to my work and that of my colleagues at Skanska – not only in Poland but in all the countries which we are present in. This award shows that we are appreciated by clients for whom we build commercial buildings and by market experts. This is our sixth Eurobuild award, which is a great distinction for us. We owe it to all the employees of our company. The projects we build are the result of their team work. We will continue to build for the benefit of society and act in line with our values. Skanska’s strong point is the fact that we work together for the client as a developer of innovative office space and as a modern general contractor. Because of this we can create sustainable projects. I believe that this way of operating will also lead to such distinctions in the next few years. Stepping outside my comfort zone, which means facing unprecedented professional challenges, gives me the greatest pleasure. Fortunately, by working in one of the largest international consulting agencies on the real estate market I have to deal with many of the kind of projects of that I very much welcome. This also gives me a lot of added motivation. Increasingly, clients are coming to us with unusual requests and expect an unconventional approach. The value of our unique approach has now been recognised with the Eurobuild Award for Property Management Company of the Year – an accolade that the entire investment team of CBRE has earned. 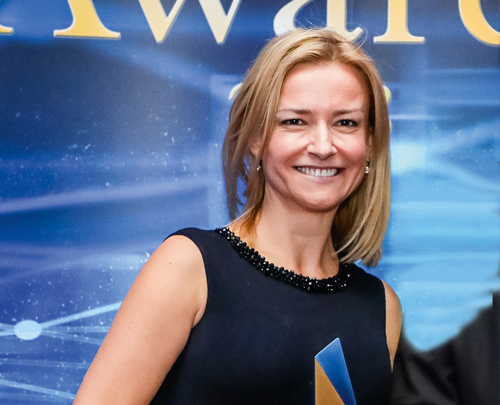 The award is a great honour, which should further motivate us to continue the actions we have taken, in particular ensuring an efficient service that translates into the measurable business benefits of our clients. Actually, whenever We look out of the window. It’s great to see the buildings that we have bought and sold on behalf of our clients. Advising clients in the real estate sector is a specific part of legal practice. By supporting them we are involved in projects, the effects of which are visible not only on paper but, above all, in their contributions to architecture, to the cityscape, and to people’s lives. We are happy that we can help investors and developers achieve their business goals. It’s their satisfaction that makes our work meaningful. The Eurobuild Award we were presented with this year on behalf of the entire Dentons team once again is a tribute to our commitment to the plans and intentions of those people who have put their trust in us. Our office has a specific, very coherent vision when it comes to supporting our clients. We are not the sellers of dreams – it’s actually achieving something that counts in our sector. We give our clients solid foundations and we are appreciated for that. The award for our team shows that investors expect this kind of approach and style of work today. We will certainly work hard to retain this prestigious title. The real estate market is changing all the time – and this will also remain the case this year. That’s why you must always plan two steps ahead. We can already see that 2019 will throw up a lot of challenges for the market. We are already seeing the inflow of new capital. This means that the transactions and projects which we will advise on will be even more comprehensive and multidirectional. I live by the rule that if I don’t like something, I don’t do it. I’ve been working in the sector for many years, and the obvious conclusion from this is that I simply like what I do. I like working with people. I take pleasure in this when I know that the team that I have created is able to resolve our clients’ problems. I’m happy when we can provide them with new systems that improve their everyday processes. Their satisfaction is a guarantee that we will be able to continue working together. I’m very pleased to receive this award on behalf of our team. Especially since it is granted by a group of outstanding specialists who know the real estate market very well. Our goal is for our brand to be associated with the best quality of service and to adopt an individual approach to each building. That’s why we are even happier that a jury with such experience has recognised us as the best facility management company of the year. Our goal is always customer satisfaction, which has earned us recognition and this prestigious award. And, more seriously, we are one of the largest players among companies in the FM sector. As I mentioned when receiving the statuette, we employed less than 500 people at the end of 2017 and now this has grown to almost 650. This allows us to provide comprehensive services of the highest standard across the country. We are constantly acquiring and looking for specialists and professionals to make the team even better through their work and experience. We create jobs when we earn the trust of the market, so we will continue to work on making this trust even greater. As a rule, every day at work is enjoyable for me to a certain extent. Being a part of such a rapidly expanding company gives you incredible satisfaction. It’s worth remembering that a good team is behind every success. 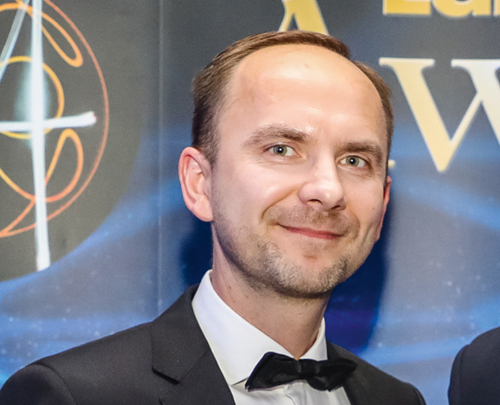 At Globalworth we have the best specialists and with their involvement we have become a leading investor on the Polish office real estate market. We are proud that we have been recognised in three categories. The best expression of our recent work is winning the Investor of the Year title. 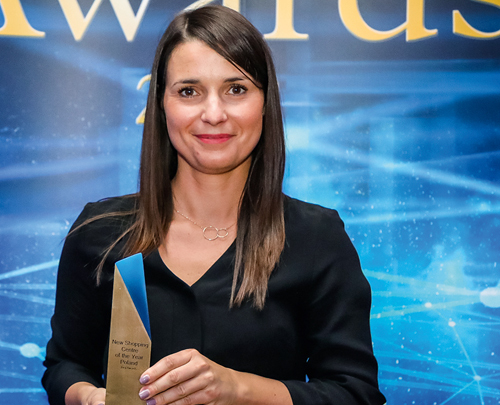 We are also happy that we have been recognised by our tenants and we regard winning the Newcomer of the Year category for the second year in a row as a... pleasant surprise, although the basis for both accolades were different for the two years. The Eurobuild Awards are an important sign for us that we have adopted the right approach for our development. We are planning further growth in Poland. Next year we will focus on expanding our portfolio with more office buildings. However, the greatest value for Globalworth is in building lasting relationships with our tenants. We are focused on long-term cooperation, so we are able to respond best to the changing needs of our partners, the tenants, and support them in the development of their businesses. The Eurobuild Award represents the culmination of the passing year, which was very intense for us. 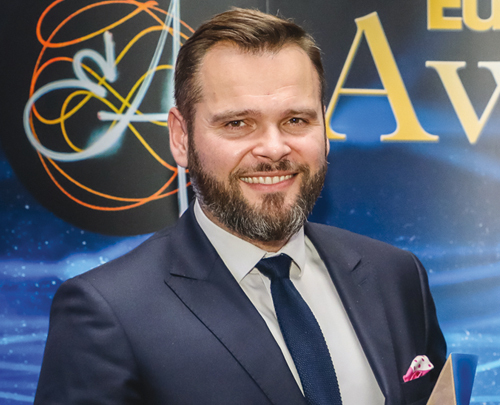 In 2018 we finalised one of the largest office deals to date and became the largest office investor on the Polish market – in just six months. We will continue to develop on the Polish market. Our priority is to strengthen Globalworth’s position as a leading institutional owner of office space. It is a great motivation because we have set another high standard for ourselves. I believe that such awards and distinctions should always be treated as a benchmark for a certain standard in the future. 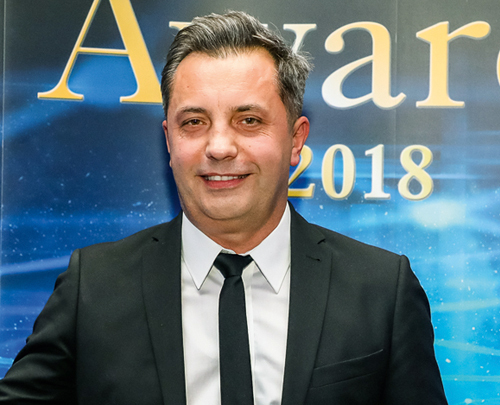 We have been able to win an award for the ‘Bielsko-Biała for Tom Hanks’ campaign, but we now have to think of what to do in order to surprise ourselves for our next campaign. In my opinion, nothing at all, and the prizes will come. This has been the case with the ‘Bielsko-Biała for Tom Hanks’ campaign. It originated in an almost organic way, and then developed in the same way, with the involvement of a great number of people, cities and companies. I think that, just like for many other people, my work pleases me most when it brings results. Thanks to the residents of Warsaw we know that the things we are doing make sense. This recognition from the market gives us added drive to continue our activities. Especially considering the fact that the award was chosen by investors themselves. I hope that this will be another argument for companies interested in investing in the CEE region to choose Warsaw. The aim of our work is not to win prizes, medals or diplomas, but to take care of the city’s development and to achieve the greatest quality of life possible for its residents. 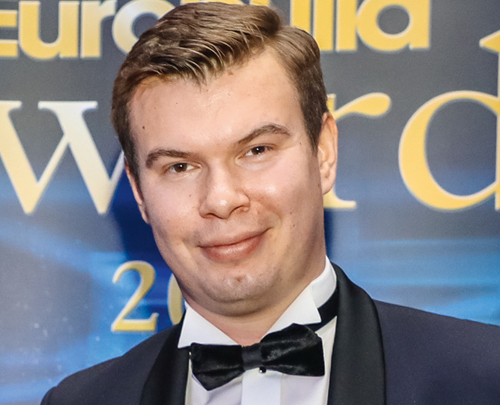 The most pleasure and job satisfaction are achieved when your goals are realised, when clients and business partners can develop as a result of their cooperation with us, and people are in employment because of your activities Thanks to the development of the warehousing sector, we have helped to create thousands of jobs, and not just on the major markets. Our decision to launch distribution centres in such locations as Rzeszów, Zielona Góra, Lublin, Kielce and Białystok has energised these locations, and each project generates new jobs in local communities. Every year it is one of the most important accolades in the real estate sector and proof that what you do is always done with passion. We will continue to do our thing – with passion. My work is my passion, so every day brings a lot of satisfaction. 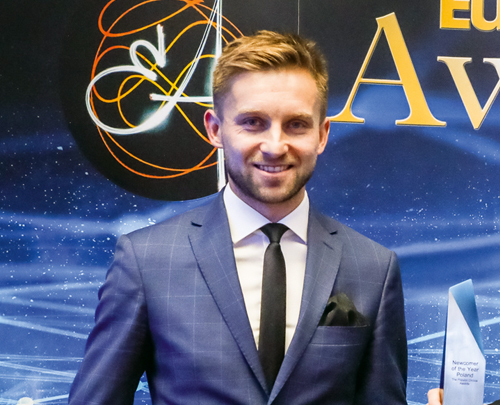 I’m really lucky to work with a fantastic team of professionals in Poland and Romania and together we have managed to achieve amazing goals. Our people are the key asset behind Globalworth’s growth. The last twelve months have been undoubtedly been extremely exciting. We have launched our brand onto the Polish market and have become the biggest office investor here. At the same time we are constantly growing in Romania. 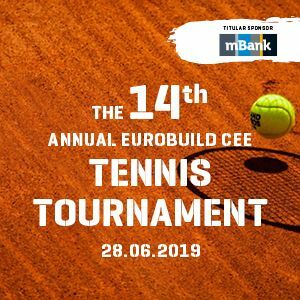 Knowing that our efforts and achievements have been appreciated by the most prominent representatives of the real estate sector in the CEE region is very flattering and rewarding. In my opinion the most important motivator for every profession is to strive to be the best in your field. If you’re ambitious and hard-working, prizes and recognition will come as a natural outcome of your efforts. So our plan for the future will definitely involve strengthening our position as the leading office investor in the CEE region and making sure that our tenants can grow and achieve their goals in our properties. The greatest pleasure my work gives me is working on complex acquisitions that require structuring, planning and transaction management – in regard to what needs to be done and the expert knowledge of those involved in it. The award shows how much the sector recognises all the effort we put into the complex acquisition of the Metro assets and into the funding of the transaction. With the acquisition of the Metro portfolio we are now the largest landlord in Poland. We will continue to look at opportunities to expand our retail portfolio through new acquisitions. The most important event will be the opening of the Galeria Młociny shopping centre, which will be a uniquely attractive mall in Warsaw for going shopping and spending time with family and friends. At Griffin we work on highly complicated deals that involve many parties – buyers, sellers, lawyers, banks, consultancies and so on. It’s rather like putting together a gigantic jigsaw puzzle and sometimes it takes months to do it. But then, one day, all the pieces fall into place, and you finally see the whole picture. And that’s what I like about this work the most. In the real estate community, Eurobuild is a distinguished name and a strong brand. 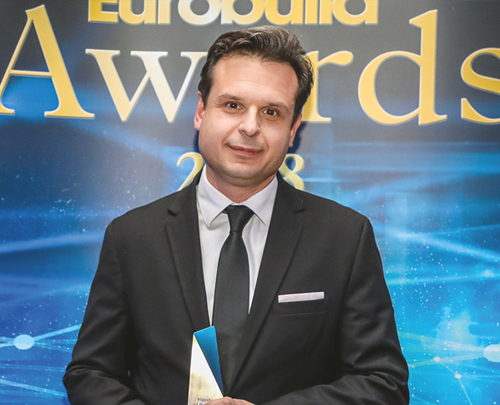 Thus winning the Eurobuild Award means a lot to us – that our work has been noticed and appreciated by the experts, but also that we have won against some extremely stiff competition who are stellar players in their own right. Don’t force me to reveal our trade secrets! But I can assure you we will keep working hard, and I’m sure we will be able to add to our Eurobuild Awards’ collection.